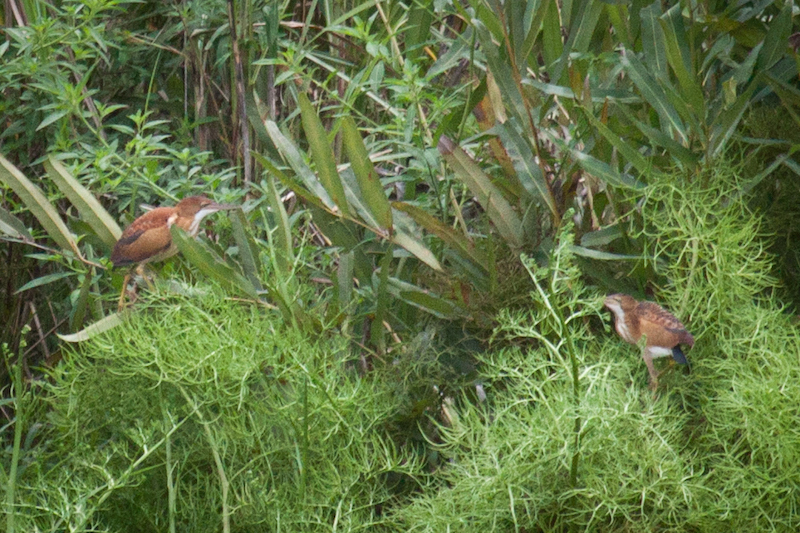 Joris Deruwe and I found at least 2 Least Bitterns at Ammo Dump on Sunday, August 23. 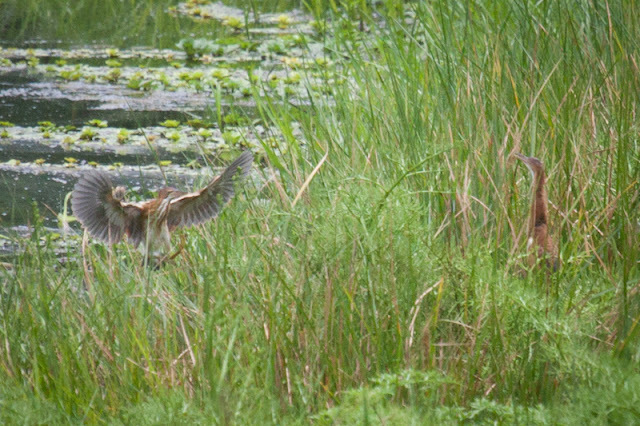 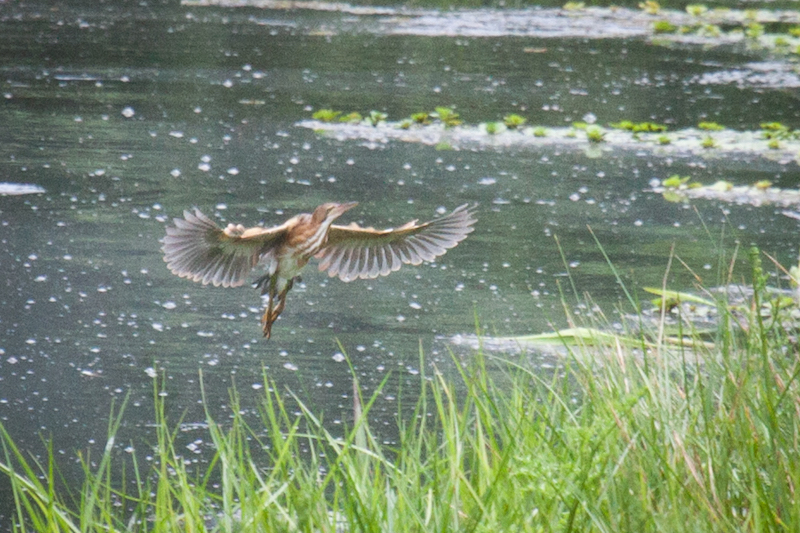 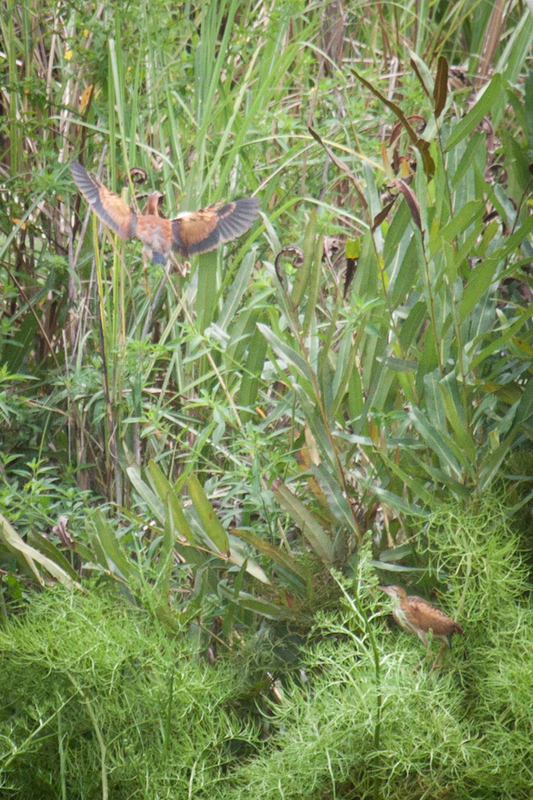 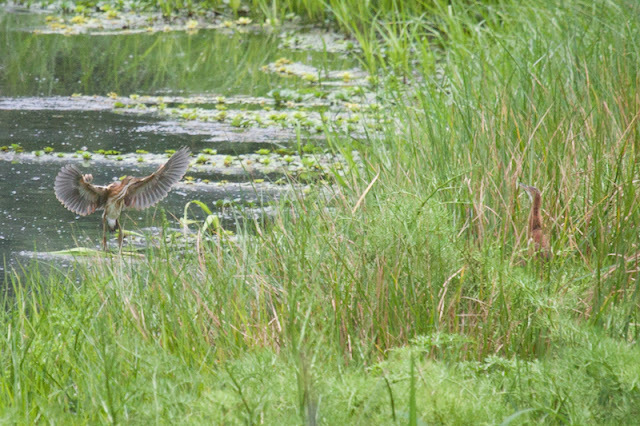 The birds were constantly flying back and forth between the shoreline and the tall vegetation on the floating island. On Sunday, the wind had blown the island to the northeast corner of the pond, near the Ammo depot entrance gate, so it was pretty far away. 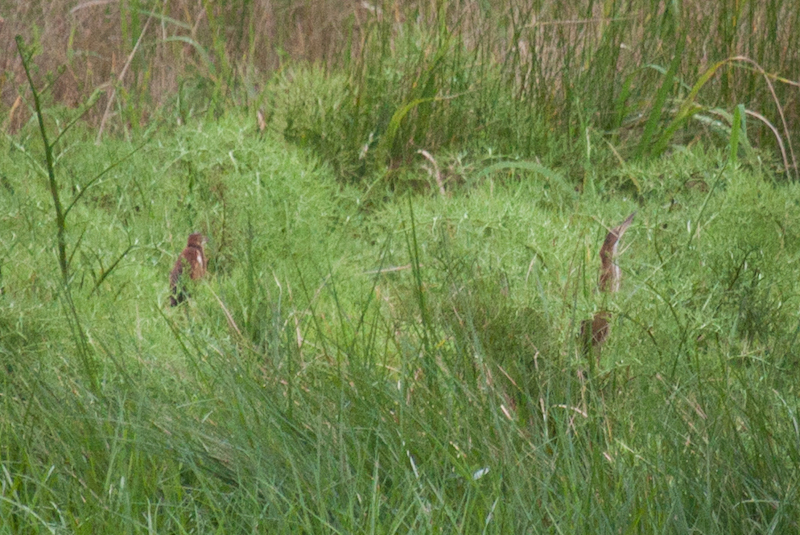 Quality is not optimal due to the distance, but I would say this is the resident race.